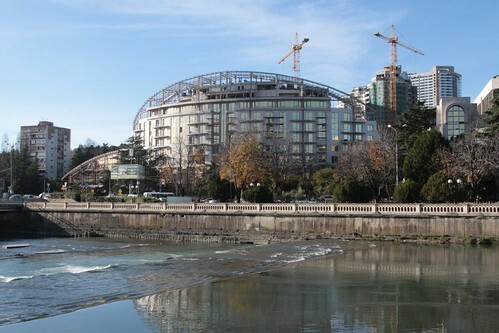 My visit to Sochi was during the leadup to the 2014 Winter Olympics, so the city was in a state of flux. 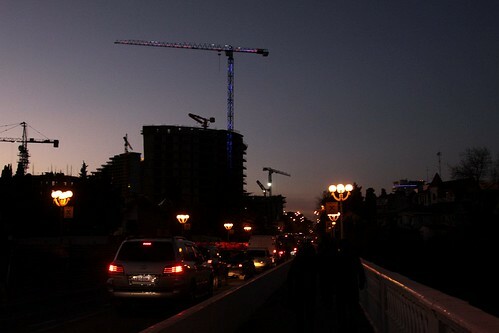 Cranes soared into the sky. 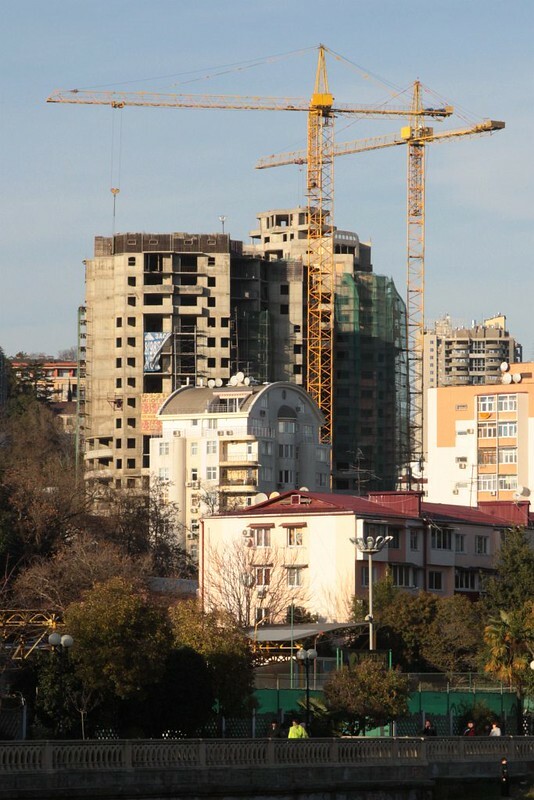 As new apartment blocks took shape. 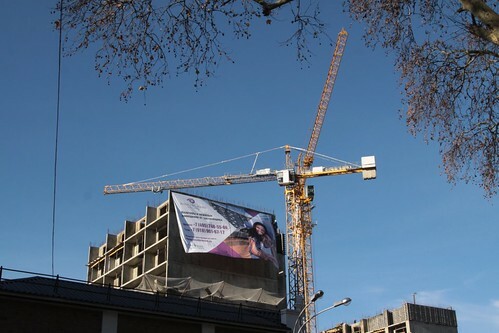 As well as new hotels. 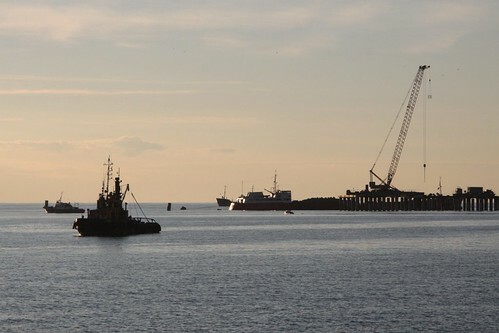 The Port of Sochi was also being expanded. With a new cruise ship terminal built. 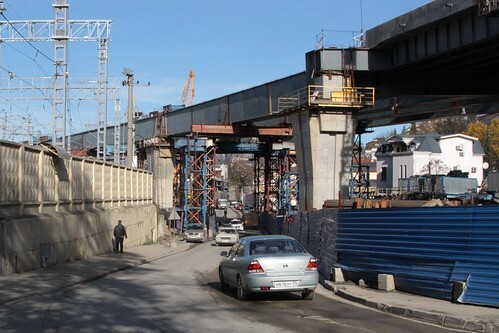 New freeways were built across Sochi. 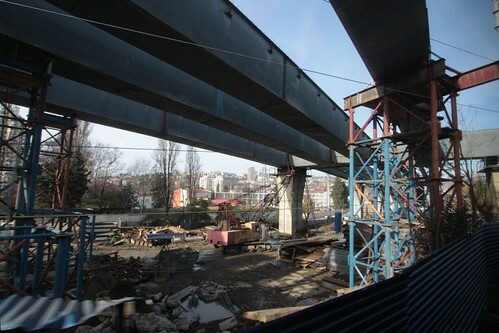 With elevated viaducts passing over roads. 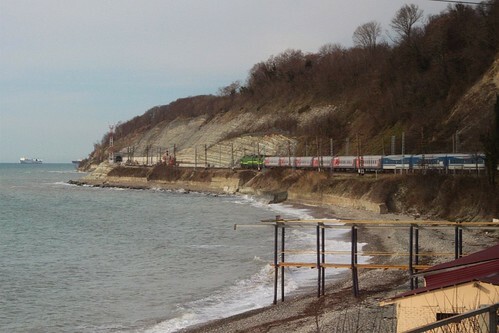 The railway along the Black Sea coast linking Sochi to the rest of Russia was also upgraded. 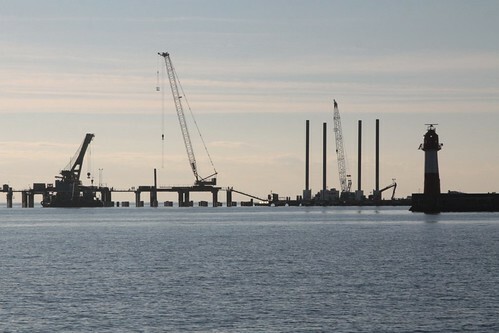 With a second track being built alongside the existing, doubling the number of trains that could run. 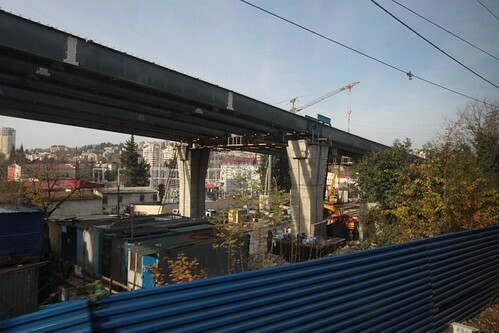 After every Olympic Games comes the obligatory visit to the abandoned games village – in the case of Sochi 2014 nothing has changed, with the Adler–Krasnaya Polyana railway that links it to downtown Sochi now seeing a handful of trains per day. 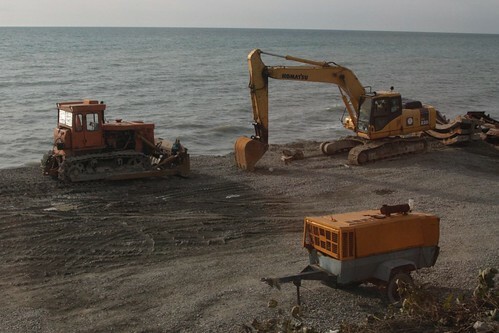 The Russian Railways built 157 kilometres of new road and rail infrastructure for Sochi 2014 – this presentation has the full details. 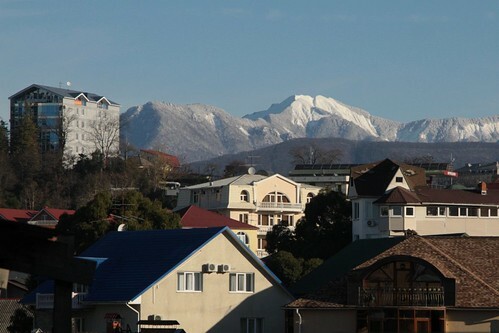 This entry was posted in Everyday life and tagged construction, Russia, Sochi. Bookmark the permalink.